Under pressure to curb sinister and fake messages, WhatsApp said Wednesday it will appoint head of India operations by the year-end. 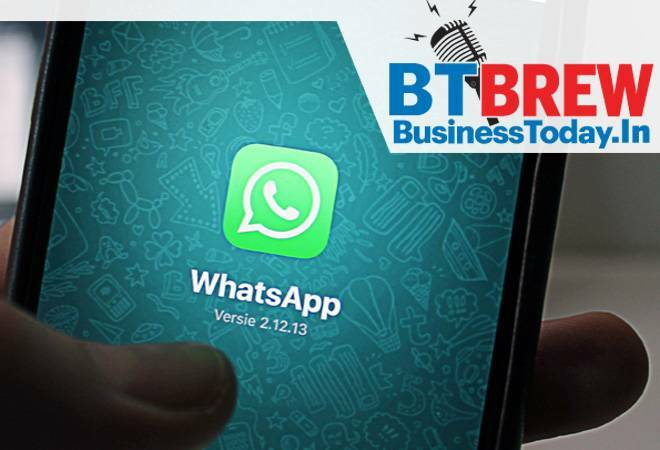 "Our new Head of WhatsApp India, who will be named by the end of the year, will build a local team that can serve our customers in India as well as work with partners and government leaders to help keep people safe," WhatsApp spokesperson said in a statement. WhatsApp Vice President Chris Daniels met IT Minister Ravi Shankar Prasad to discuss the issue of fake messages, that have in the past triggered mob killings.The government has stood firm in its stance on traceability, and made it clear that it is not seeking decryption of messages on WhatsApp but rather wants the location and identification of senders of misinformation. The abrupt sacking of Cyrus Mistry as the chairman and director, respectively, of Tata Sons and its crown jewel TCS violated provisions of the Companies Act, RBI rules and more importantly, Tatas' own articles of association, RoC, Mumbai said in an RTI reply. The right to information (RTI) reply, given by Uday Khomane, the assistant registrar of companies (RoC), Mumbai on October 3, is in response to a RTI request filed by the investment arms of the Shapoorji Pallonji Group on August 31. The reply said the way Mistry was removed from the chairmanship of Tats Sons and also as the director of Tata Consultancy Services (TCS), violated the relevant legal provisions under the Companies Act, 2013; the Reserve Bank rules governing NBFCs; and more importantly the rule 118 of the articles of association (AoA) of Tata Sons, the parent of the diversified Tata group, which is registered as an NBFC with the monetary authority. Subsidised cooking gas (LPG) price Wednesday was hiked by Rs 2.94 per cylinder due to tax impact on the change in base price.A 14.2-kg subsidised LPG cylinder will cost Rs 505.34 from today as against Rs 502.40 now, Indian Oil Corp (IOC) has said. In all rates have gone up by Rs 14.13 per cylinder since June. All LPG consumers have to buy the fuel at market price. The government, however, subsidises 12 cylinders of 14.2-kg each per households in a year by providing the subsidy amount directly in bank accounts of users. Sustained business reforms over the past several years helped India jump 23 places to move to 77th position in this year's global ease of doing business rankings. India carried out six business reforms during the past year, earning the credentials of being a top global improver for a second consecutive year, says the World Bank Group's Doing Business 2019: Training for Reform report, released on Wednesday. Last year India was ranked 100 in the list. Tech giant Apple's India unit registered 140 per cent jump in its net profit at Rs 896.3 crore for the fiscal ended March 2018, as per regulatory documents filed by the company. The iPhone maker, which competes with the likes of OnePlus and Samsung in the premium smartphone category in India, had registered net profit of Rs 373.3 crore in 2016-17, the documents filed with the Corporate Affairs Ministry showed. Google parent Alphabet on Wednesday confirmed that an executive accused of sexual harassment left the company without an exit package as tension over its handling of such matters heightened. Word that Rich DeVaul, a director at X lab devoted to "moonshots" such as internet service from balloons, was out, came with reports that women employees were trying to organize a walk-out on Thursday to protest lenient handling of sexual misconduct in the workplace. Alphabet declined to share any details about DeVaul's departure from the company. CEO Sundar Pichai said anew that Google had fired 48 employees in the past two years - including 13 senior executives - as a result of sexual harassment allegations.